Just about every company will experience employee fraud in their lifetime. Companies should look at their finance department and understand how they process financial transactions to see if they are still paper-based, using multiple financial systems and do not have proper controls. If so, these companies are more likely to experience employee fraud. Even in 2016, the typical finance department at most small or medium businesses has non-optimized, heavily paper-based processes. All of this leads to inefficient transactional processing plus inaccuracies and delays in the production of financial information and reporting. Paper is extremely time intensive to process plus it needs to be stored or shredded. Having paper rather than electronic data impacts receivables, productivity and revenue. Moving to an electronic-based financial management system is paramount for every company. 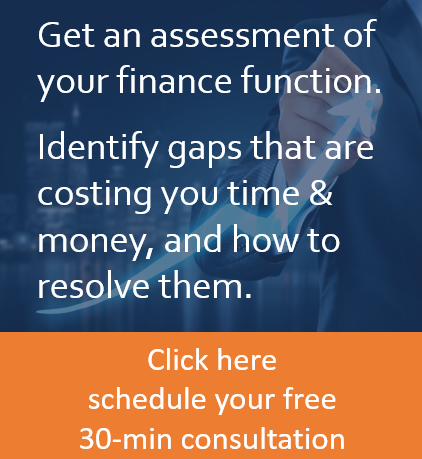 Multiple financial software programs result in tremendous inefficiencies. Providing timely reporting is difficult. Your team has to double or triple-enter information. There is a high probability of incorrect data. Worst of all employees understand that is easier to steal when the data is not synced on a regular basis. We recommend integrating financial systems into a consolidated financial platform that allows data to be entered once and then shared. Your bottom line will thank you. 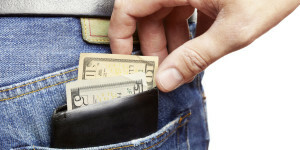 One-third of all business failures can be traced to employee theft, according to AllBusiness.com. Many finance departments at small growth companies typically lack formal policies & documentation and have limited or non-existent financial controls to safeguard and monitor revenue and expenditures. This leaves the company open to lost revenue, over payments or even internal fraud. Smaller, growth companies can experience a larger percentage revenue growth compared with larger companies, and this growth can both overwhelm financial controls and make the company ripe for fraud. According to the Wall Street Journal, the median fraud loss for companies with fewer than 100 employees was about $150,000. It is essential for companies to implement efficient and accurate processes, controls and reports on a company’s cost and revenue-related activities to combat fraud. These techniques include process checkpoints, preventative controls (aka segregation of duties) and detection controls. Moving to a consolidated financial platform while eliminating paper-based processes will drive immediate benefits for your company including timely reporting and improved receivables in addition to mitigating your fraud probability. Adding proper controls and being vigilant about monitoring your financial statements should further reduce the chance of your company becoming a victim of employee fraud.